This school year is off to a FANTASTIC start. Except for that whole "I'm so exhausted I could just fall over" feeling at the end of each day. But...I can look past that because I am really having fun at my new school! I can't wait to show off my new digs at the #2getherwearebetter link up on September 2nd! 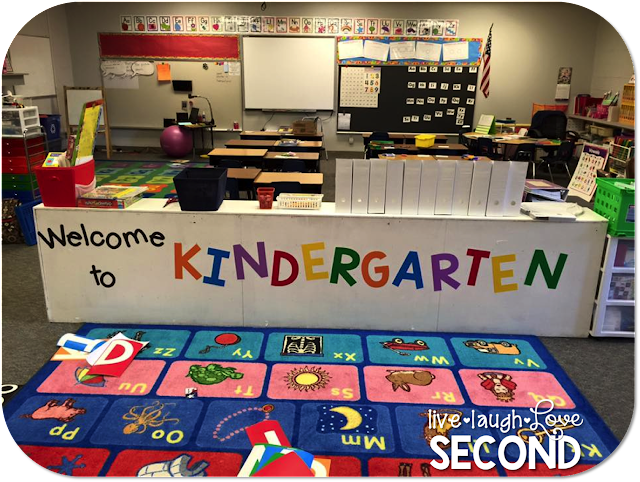 But...speaking of new digs, my best teaching friend Shari has herself a new teaching home down the hallway from our old second grade rooms and in a kindergarten room! 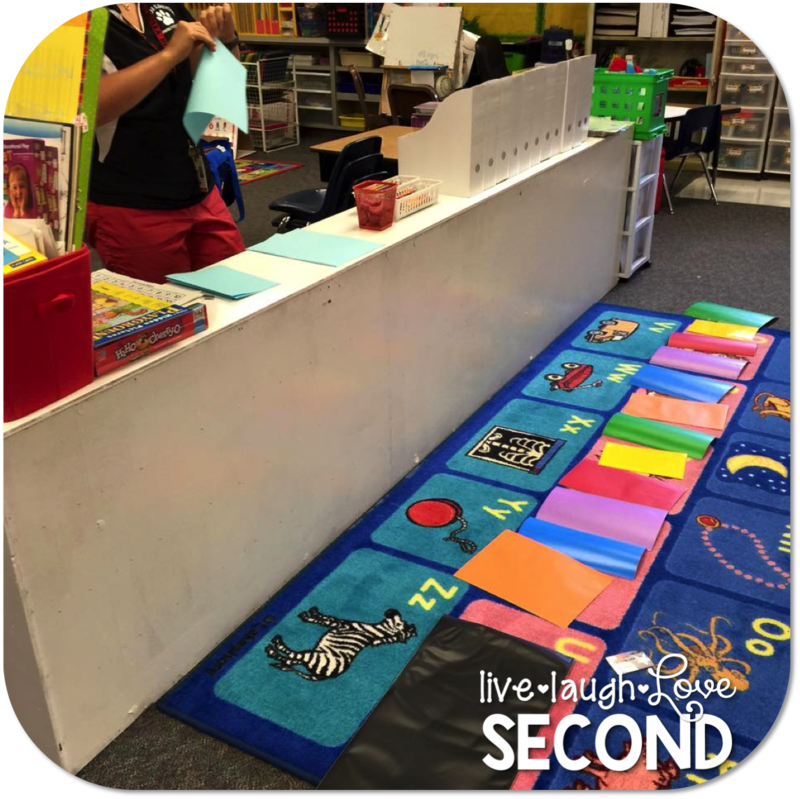 I am sooooo jealous of her space (and the fact that she only has 13 sweet little kinders!). She had this not-so-appealing cubby shelf in her room. I knew it had major beauty potential! So, her visiting friend, Jen, painting it a bright white, and I tasked myself with adding some lettering on the back. And so enters my Monday Made It! I headed over to my old stomping grounds after school today to put all the lettering on and OH MY WORD, Y'ALL!!!! It looked sooooo cute! Check it out! It is all vinyl I bought off of Amazon and then cut with my Silhouette Cameo. If I'm remembering correctly, the font for "welcome to" is Hello Firstie, and the font for "kindergarten" is KG Blank Space Solid. I am just in love with how cute it is. She plans on taking pictures of her little cuties in front of it tomorrow! Here is a before picture. It's a big difference from the actual original color. This is the only "made-it" I have time to talk about this week. I have been blowing up my printer, laminator, and Silhouette the past couple of weeks, and I can't wait to share some of the other fun things I've made for my classroom. 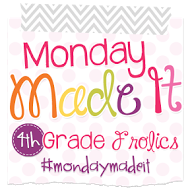 In the meantime, head over to Fourth Grade Frolics for more Monday Made-It fun! You can click on the button below. I LOVE how your friend's shelf turned out! Awesome job! I recently purchased a cameo, so I need to jump on the vinyl bandwagon and make some cute things for my classroom too. Thanks for the inspiration! Love this! Great colors and design!